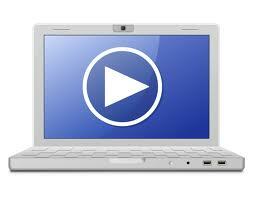 Getting your [potential] customers to click play… tips for video marketing success. When done right, video is a medium that possesses the three components B2B marketers want—engaging storytelling, originality and customized content. And marketers are increasingly turning to video as a means of brand promotion. According to the 2013 content marketing research reports for B2B and B2C industries by the Content Marketing Institute and MarketingProfs, more than 60% of B2B marketers said they use video as a content marketing strategy. Yet with 72 hours of video uploaded to YouTube every single minute, it’s all too easy to get lost in the quest for views. Nevertheless, some B2B companies have achieved incredible success with their YouTube channels. Intel, for example, has nearly 40,000 subscribers and approximately 45 million views. Cisco’s channel has more than 25,000 subscribers and 4.2 million views. And IBM has more than 13,000 subscribers and 5.6 million views. So what are these companies doing right? In order to be successful, a B2B video needs three things. Based on objectives. Whether the objective is to increase brand awareness, establish authority, build brand loyalty or attract new business, it’s critical to establish it before the camera rolls. Having clear objectives for video marketing will not only determine the type of video produced (i.e., comical, moving, informative, etc. ), it will also—as with any marketing effort—enable you to track results. Check out this video NetLine created for their mobile product. Solve problems. Videos aren’t commercials. At least not in the strict sense of the word. The most successful B2B videos consider the needs of the end users and answer questions—perhaps even questions they didn’t know they had. They surprise and inform at the same time. Check out this video by Intel for their Ultrabook for business. Imaginative. Viral B2B videos find a creative way to tell a story. Sure, your audience is other businesses. But businesses are made up of people, and people like to be engaged and entertained. To promote itself as a leader in shipping for businesses, for example, UPS made a brief video for its YouTube channel called “UPS Drivers Rock!”. The video not only demonstrates how the company satisfies its business customers, it also reflects well on the company by showing its appreciation for its employees. Check it out here. As with any content strategy, marketers need to make sure that videos are promoted. YouTube is just one of many Internet channels available for posting videos. In addition, marketers need to coordinate with IT to make sure that the videos are searchable through titles, descriptions, tags and transcripts. Have you seen success from adding video to your strategy? What are your top video tips? Posted by Tony Sala on January 2, 2012 .